The relationship between Iceland and the European Union is defined through Iceland’s membership of the European Economic Area (EEA) since 1994. 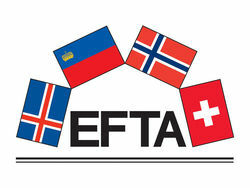 The contracting parties to the EEA Agreement are three of the four EFTA state, Iceland, Liechtenstein and Norway. To achieve homogeneity between the EEA and EU, the agreement incorporates hundreds of acts largely identical to the relevant parts of the EC legislation and these acts are made part of the internal legal order of the contracting parties. The new Union Civil Protection Mechanism was incorporated into the EEA Agreement in June 2014. The Mechanism supports major projects, workshops and training courses in the field of prevention, preparedness and response to natural disasters, both at land and at sea. 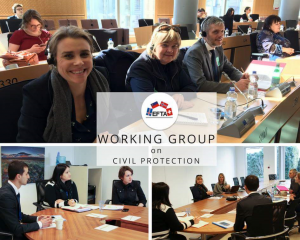 The Working Group on Civil Protection is responsible for EEA EFTA participation in the Union Civil Protection Mechanism 2014-2020. Iceland has participated in the Civil Protection Mechanism since 2001. The Icelandic Civil Protection participates in the Union Civil Protection Mechanism with 28 EU Member States, former Yugoslav Republic of Macedonia and Norway. The Mechanism has a number of tools intended to facilitate adequate preparedness as well as effective response to disasters at a community level. The Emergency Response Coordination Centre (ERCC) is the operational heart of the Mechanism. It is operated by DG ECHO of the European Commission and accessible 24 hours a day. It gives countries access to a platform, to a one-stop-shop of civil protection means available amongst all the participating states. Any country inside or outside the Union affected by a major disaster can make an appeal for assistance through the ERCC. It acts as a communication hub at headquarters level between participating states, the affected country and dispatched field experts. It also provides useful and updated information on the actual status of an ongoing emergency. Last but not least, the ERCC plays a co-ordination role by matching offers of assistance put forward by participating states to the needs of the disaster-stricken country. The Common Emergency Communication and Information System (CECIS) is a reliable web-based alert and notification application created with the intention of facilitating emergency communication among the participating states. It provides an integrated platform to send and receive alerts, details of assistance required, to make offers of help and to view the development of the ongoing emergency as they happen in an online logbook. A training programme has also been set up with a view to improving the co-ordination of civil protection assistance interventions by ensuring compatibility and complementarity between the intervention teams from the participating states. It also enhances the skills of experts involved in civil protection assistance operations through the sharing of best practices. This programme involves training courses the organisation of joint exercises and a system of exchange of experts of the participating states. The newly adopted Union Civil Protection Mechanism provides funding opportunities for a number of activities such as projects on prevention and preparedness, exercises, exercises on modules and exchange of experts, in the framework of the EU Civil Protection Mechanism. Supporting relevant, innovative and cost-effective proposals is essential to allow a successful implementation of policy objectives. In order to ensure that the proposals and tenders comply with the required quality standards and to increase their success rate, the Commission will inform potential applicants on the technical and formal administrative (legal, financial, etc.) requirements and criteria applicable.